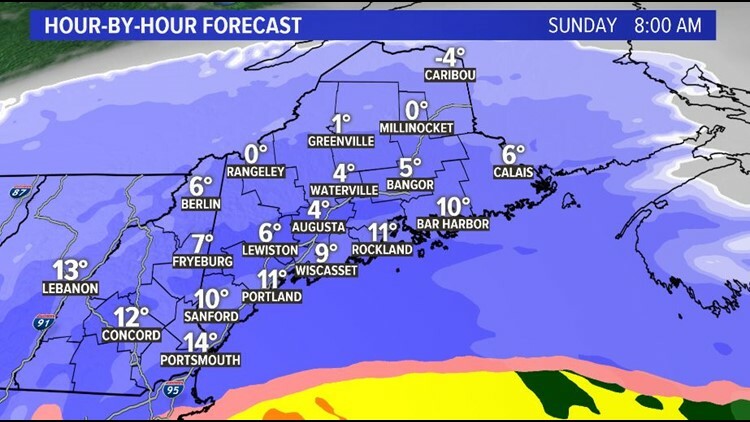 Sunday's snow storm will start around midnight in southern Maine, but before sunrise pretty much everywhere. It will be heavy through the morning. As we get closer to the afternoon, sleet will likely start to mix in along the coast. Snow and sleet will continue through the evening. 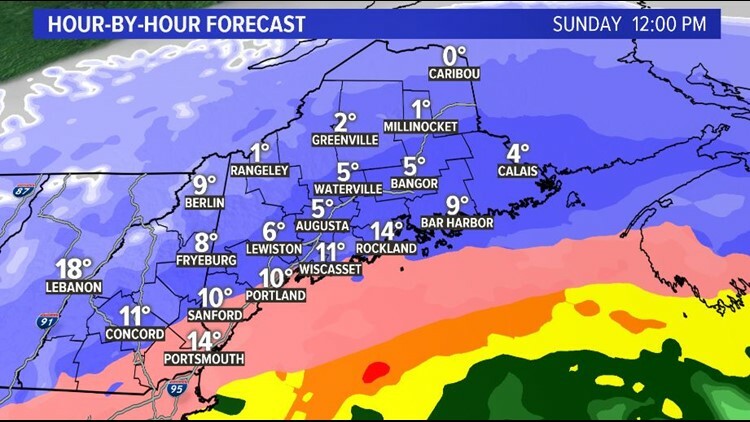 Snowfall rates will be more than an inch an hour at times. 2-3 inches an hour rates are possible at times. 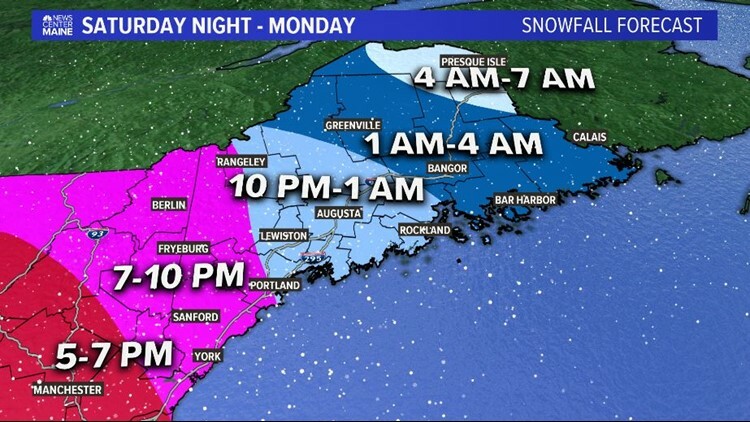 Travel will be extremely difficult. Snow will get a bit lighter late Sunday, but snow showers will continues into Monday morning. High temperatures on Sunday will stay in the teen and might make it into the low 20s at the coast. 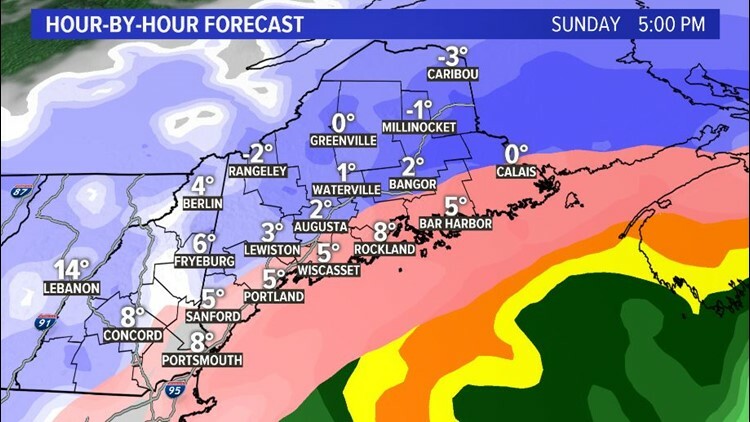 Snowfall totals will be HUGE. 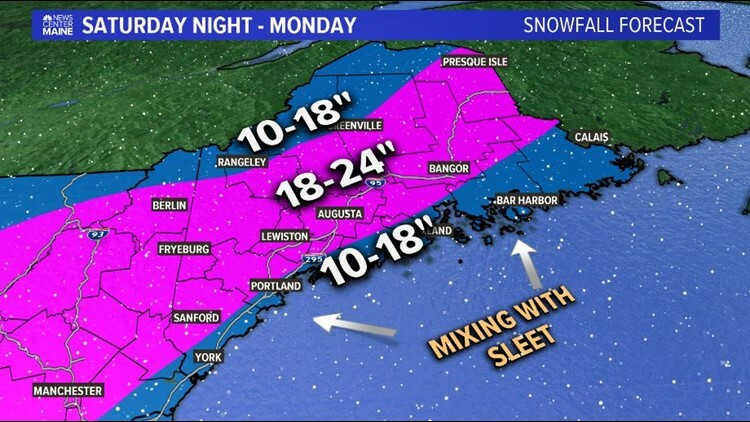 10-18" at the coast and 18-24" inland.